Halloween is a night where your kids’ wildest dreams can come true. Your little ones can be the superheros that they have always dreamed of being and save the world from evil madmen, or they can be princesses from a faraway land of magic, crowned gems, and tall beautiful castles surrounded by moats. Picking out the perfect costume is always a big deal for kids, and it can definitely become an expensive purchase. I always remember spending a ton of money around Halloween on the costumes alone. DIY Halloween costumes can save you so much money that you will start to think that you were crazy for not making them yourself sooner! I know first-hand that kids enjoy their costumes even more when they are able to make them. 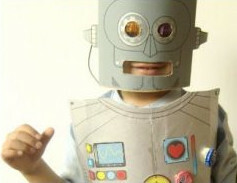 For kids, homemade Halloween costumes is an ongoing chain of excitement. Their excitement begins when they are thinking about what they want to be most, and it doesn’t end until they get to wear it on Halloween night. Actually, it may never end because they can keep their costumes for playtime. When your kids are able to make homemade costumes, the sky is the limit to what they can be. If they are having a hard time choosing between a ladybug and a princess costume, why can’t they be a ladybug-princess? You wouldn’t be able to buy that in a store. The options are endless when it comes to making easy Halloween costumes that your little ones can wear out in the night while they hunt for the best candy on the block. 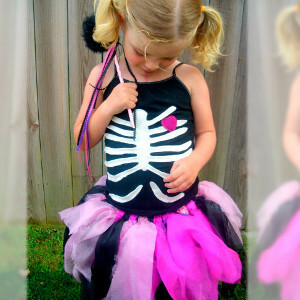 All of these easy Halloween costume ideas are perfect for your little girls. Now they can be a part of their own fairytale when they make one of the most Regal Pipe Cleaner Crown in all the land, or they can dive into the deep blue ocean and swim among all of the sea creatures when they make the Mystical Mermaid Tail Tutu. Are your girls looking for something a little spooky and glamorous at the same time? We’ve got a costume idea for that too! Your little girls shouldn’t have a problem finding costumes that they like. The trick for your kids will be trying to figure out what they want to be on one of the greatest nights of the year. Your boys will finally get to wear their favorite superhero costumes out for everyone to see, and to make it even better, these will be costumes that they can make themselves! Every super hero needs a cape, and the Comic Book Hero Capes will definitely do the job. Your little ones can turn into Batman and protect the streets of Gotham, or they can be Superman and save the planet from mass destruction. 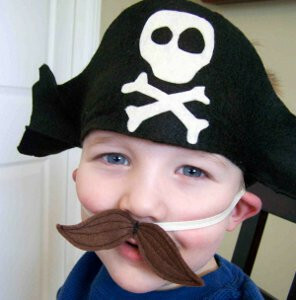 Your kids can even be pirates and sail the 7 seas. There are quite a few awesome homemade Halloween costumes that your boys will get to pick from! If your little ones can’t find a costume that they absolutely love from these ideas, have no fear! 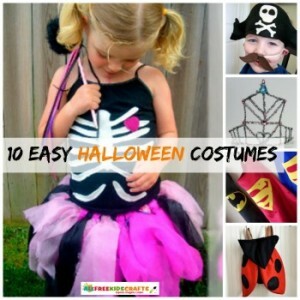 There are a lot more cute Halloween costume ideas where all of these came from in 38 Homemade Halloween Costumes: Easy Costumes for Kids. What do your little ones want to be for Halloween? Copyright © 2016 Craft Paper Scissors. All rights reserved.